The Equinox is Saturday, September 22 at 7:55 PM Mountain Daylight Time (MDT). 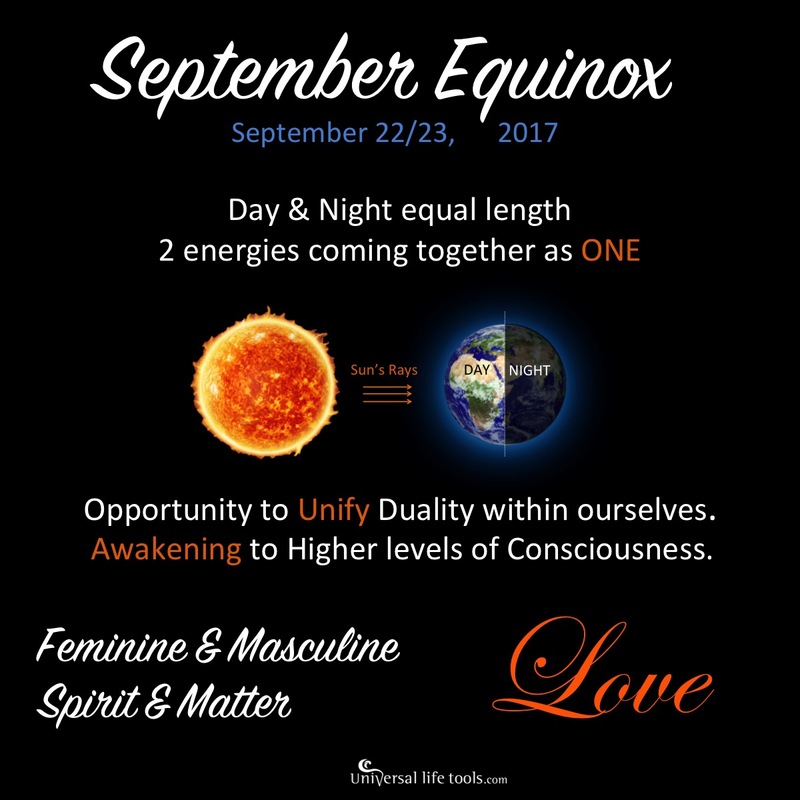 “This equinox is designed to support and honor inspired change and new intentions. Change requires letting go. What you let go of includes your harvest of lessons and experiences of relationships and events and it is important to honor the medicine of your personal harvest as you choose what to let go of and what to fold into a new cycle.